Safes 1 - Locksmiths & Safemen Security Hardware Ltd.
Give us a call at Locksmiths & Safemen if for some reason you have failed to open your safe, or want to change the combination. Our locksmiths can open safes of any make and grade. Whether you have lost the keys, forgotten the safe’s combination, or the safe lock has malfunctioned, our trained specialist will open the safe for you. Have you lost your safe keys? Have you forgotten the combination to your safe? Are you using the correct combination but your safe still fails to open? Is your safe locked open, such that you can’t close it? There are many reasons you might need our safe opening service in the GTA. Our safe opening specialists are equipped with borascopes and the resources of SAVTA. We provide a range of services and products, from assistance in selection of a safe, to changing safe combinations and safe opening services on commercial and residential safes of all brands, including Gardall, AMSEC . Let someone who helps people choose the right safe day in and day out show you how to purchase a safe that delivers on quality and value. 1. Determine what is going into the safe. Imagine the items that you want to put into your new safe. Do you need to look at gun safes that can hold your firearms that need to be on hand but kept safely away from children? Do you only need a wall safe to protect important documents such as passports and financial doocuments ithat need to be kept secure and free from water and fire damage? Do you enjoy keeping your jewellery and small valuables at home, but want to protect from home break-ins? 2. Take a look at the size of your items and choose from wall, floor, and drop safes a little bigger than what you think you need. You will thank us for this bit of advice later down the road. Many of our customers discover additional papers and items to put into their floor safe once they have it in their home or office. You now know how much space you need. 3. Measure the area where you are going to be installing the safe. 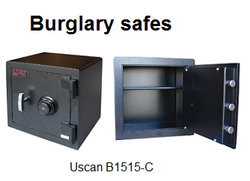 This is another consideration for the wall or floor safes which will be right for you. You may have a cabinet that you need exact measurements for or you may have a room that can accommodate several sizes. It is very important to know where the office or depository safe is going to be installed because this will determine the size and type of safe you buy. Locksmiths & Safemen Security offers safe sales, combination changes, emergency openings, and can convert your old safe to use a more convenient push button electronic pad, replacing the old dial assembly for convenience and quicker access. We at Locksmiths & Safemen Security provide the highest in protection with security solutions for your home, cottage, small or big business. 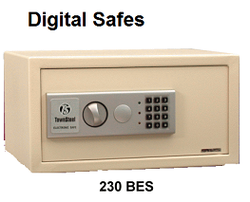 We carry a wide variety of security products including the best from Canadian Safe Manufacturing.